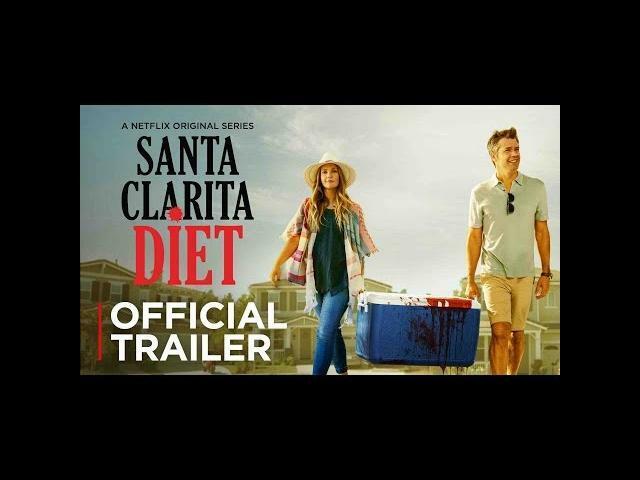 Netflix"s Santa Clarita Diet Season 1 premiered on Netflix today February 3, 2017, as a horror comedy TV series. This trailer shows a couple who are sick of the usual day to day events in their lives now thrust into a new world where one of them becomes a zombie, and the other helps in covering up and mishaps. The craving is described as a "voracious appetite for humans, " but that sounds like a zombie-type premise minus the walking dead part. A rather creative hybrid if that is the case. This new horror TV series looks hilarious and like something I will enjoy watching with my wife. I cannot wait to sink my teeth into this 13 episode horror series. Liv Hewson, Drew Barrymore, and Timothy Olyphant with appearances from Nathan Fillion and Patton Oswalt star in Santa Clarita Diet. Joel (Timothy Olyphant) and Sheila (Drew Barrymore) are husband and wife realtors leading vaguely discontented lives in the L.A. suburb of Santa Clarita with their teenaged daughter Abby, until Sheila goes through a dramatic change sending their lives down a road of death and destruction...but in a good way. Santa Clarita Diet stars Drew Barrymore as Sheila Hammond, Timothy Olyphant as Joel Hammond, Liv Hewson as Abby Hammond and Skyler Gisondo as Eric Bemis. Showrunner Victor Fresco, Drew Barrymore, Timothy Olyphant, Aaron Kaplan, Tracy Katsky, Chris Miller and Ember Truesdell are executive producers on the series. Nancy Juvonen is a producer. Santa Clarita Diet is a Netflix production.